- FRANCE – Grenoble - Les portes du Musée archéologique de Grenoble de la place Saint-Laurent s’étaient fermées en 2003. Elles ont (enfin) rouvert au public, après huit années de travaux menés par le conseil général de l’Isère. Une remise aux normes, d’abord, mais surtout une scénographie active et adaptée pour lever le voile sur dix-sept siècles d’histoire. Depuis l’inauguration des lieux, le musée invite ses visiteurs à faire un bond de 2 000 ans en arrière, au cœur d’une véritable nécropole où 1 500 sépultures de Grenoblois ont été découvertes. Pour guider les curieux, à l’intérieur, un parcours fléché, des bornes interactives, et des passerelles pour contempler de plus haut l’ampleur des vestiges. Car les plus anciens datent du IV e siècle et ont de quoi impressionner. Une crypte classée Monument historique Trésor parmi les trésors, la crypte Saint-Oyand, sous le chœur de l’église Saint-Laurent et classée Monument historique, a gardé un état de conservation « exceptionnel », selon la conservatrice en chef Renée Colardelle. Depuis les premières fouilles en 1959, 400 bénévoles ont plongé leurs mains dans la poussière du site Saint-Laurent, à la recherche de poteries, bijoux et autres témoins des quatre périodes archéologiques superposées dans l’église. Un véritable millefeuille, reconstitué virtuellement grâce à des simulations 3D et des projections sur les murs de l’église. - ISRAEL – Jerusalem - Underneath the crowded alleys and holy sites of old Jerusalem, hundreds of people are snaking at any given moment through tunnels, vaulted medieval chambers and Roman sewers in a rapidly expanding subterranean city invisible from the streets above. At street level, the walled Old City is an energetic and fractious enclave with a physical landscape that is predominantly Islamic and a population that is mainly Arab. Underground Jerusalem is different: Here the noise recedes, the fierce Middle Eastern sun disappears, and light comes from fluorescent bulbs. There is a smell of earth and mildew, and the geography recalls a Jewish city that existed 2,000 years ago. 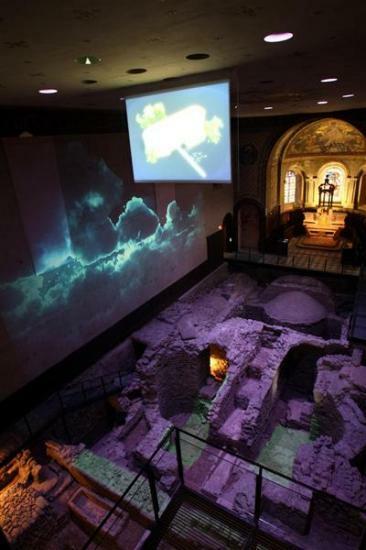 Archaeological digs under the disputed Old City are a matter of immense sensitivity. For Israel, the tunnels are proof of the depth of Jewish roots here. But many Palestinians, who reject Israel's sovereignty in the city, see them as a threat to their own claims to Jerusalem. And some critics say they put an exaggerated focus on Jewish history. A new underground link is opening within two months, and when it does, there will be more than a mile (two kilometers) of pathways beneath the city. Officials say at least one other major project is in the works. Soon, anyone so inclined will be able to spend much of their time in Jerusalem without seeing the sky. On a recent morning, a man carrying surveying equipment walked across a two-millennia-old stone road, paused at the edge of a hole and disappeared underground. In a multilevel maze of rooms and corridors beneath the Muslim Quarter, workers cleared rubble and installed steel safety braces to shore up crumbling 700-year-old Mamluk-era arches. 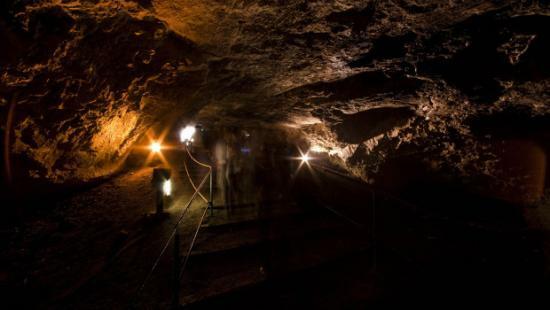 South of the Old City, visitors to Jerusalem can enter a tunnel chipped from the bedrock by a Judean king 2,500 years ago and walk through knee-deep water under the Arab neighborhood of Silwan. Beginning this summer, a new passage will be open nearby: a sewer Jewish rebels are thought to have used to flee the Roman legions who destroyed the Jerusalem temple in 70 A.D.
- USA – Brownsville - Archaeology month is coming to a close in Brownsville but excavations will continue at the home sites of two 19th century riverboat captains. The site on Bank Street was the home of riverboat Captain James Gormley. He was a steamboat captain in the 1850s. He captained the Statesman and the Jesse R. Bell. As far as I know he went from here to New Orleans. 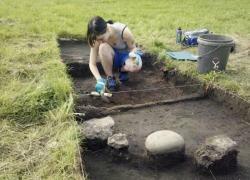 Archaeologists learned about the house construction. It was a dry laid stone foundation. It was a very narrow house, only 13 feet deep. The house was also built without a basement and appears to have been built on fill material. Henshaw said Gormley bought the Bank Street house in 1832 and lived there until 1862, when Gormley and his wife moved to Ohio, either to follow the steamboat industry or to retire. The Church Street site was the home of Captain Michael Cox, who represents the middle period of the steamboat industry, from 1865-1930. Coal is growing in the area. Companies are forming and he’s probably making a little better wage. While Gormley’s house was wood frame on a dry stone foundation with no basement, Cox’s home had a concrete and stone foundation and a basement, giving it an air of permanence. The two sites have yielded numerous artifacts, including identifiable New Geneva stoneware and Greensboro pottery, as well as an early folding pocket knife made in Sheffield, England. - BULGARIE – Sofia - This year Italy celebrates 150 years since its unification, of which 132 developing diplomatic relations with Bulgaria. This is one fact that shows the long-standing cooperation between the two countries and the two capitals, whose beginning goes far back in antiquity. As long ago as 106 A.D., in the reign of the Emperor Trajan (98-117), Serdica received city rights, with the same status as Ephesus, Miletus, Pergamon. During the reign of Emperor Marcus Aurelius (161-180), Serdica had its own autonomous local mint, which lasted a century and a half, where copper, silver and gold coins were minted. The IV century, during the reign of Constantine the Great (306-337), was a flourishing period in the development of Serdica. Calling the city "Serdica is my Rome", he made it his permanent residence for nearly 13 years. 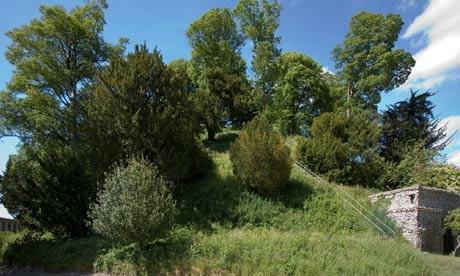 - ROYAUME-UNI – Marlborough mound - Mystery solved – after 4,400 years -Hill in Wiltshire school grounds nicknamed Silbury's little sister revealed as important neolithic monument. After thorough excavations, the Marlborough mound is now thought to be around 4,400 years old, making it roughly contemporary with the nearby, and far more renowned, Silbury Hill. 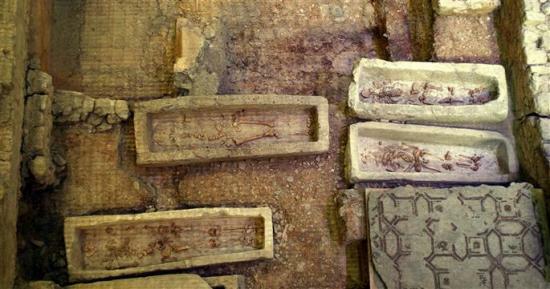 The new evidence was described by one archeologist, an expert on ancient ritual sites in the area, as "an astonishing discovery". Both neolithic structures are likely to have been constructed over many generations. The Marlborough mound had been thought to date back to Norman times. It was believed to be the base of a castle built 50 years after the Norman invasion and later landscaped as a 17th-century garden feature. But it has now been dated to around 2400BC from four samples of charcoal taken from the core of the 19 metre-high hill. The samples prove it was built at a time when British tribes were combining labour on ritual monuments in the chalk downlands of Wiltshire, including Stonehenge and the huge ditches and stone circle of Avebury. The Marlborough mound has been called "Silbury's little sister", after the more famous artificial hill on the outskirts of Avebury, which is the largest manmade prehistoric hill in Europe. Marlborough, at two-thirds the height of Silbury, now becomes the second largest prehistoric mound in Britain; it may yet be confirmed as the second largest in Europe. - USA – Tehachapi - Only a handful of archaeologists have ever conducted fieldwork or excavations at prehistoric sites of the Nüwa (Kawaiisu) Indian people of the Tehachapi area. The site is well-preserved and little disturbed, located at two natural springs in the Sand Canyon area. There are stone rings where traditional tomo kahni, or winter houses once stood, as well as pa-haz (bedrock mortars) and grinding slicks. It is a sheltered little canyon that seems scarcely changed from when the traditional Nüwa lived there – ephedra or Indian tea grows in abundance, California quail are numerous and the springs still produce water year-round. 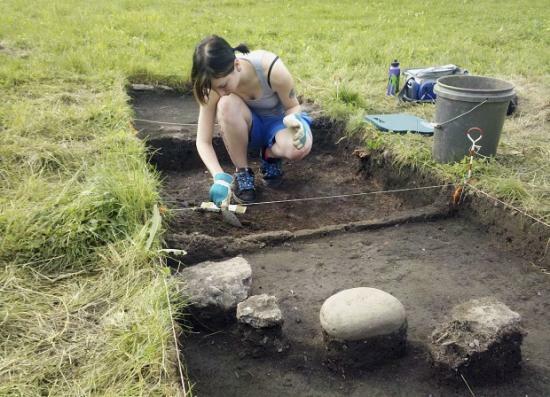 - USA – Brunswick - Students from all over the country are gathering on the grounds of the Brunswick Town/Fort Anderson historic site in Winnabow for an archaeological dig. 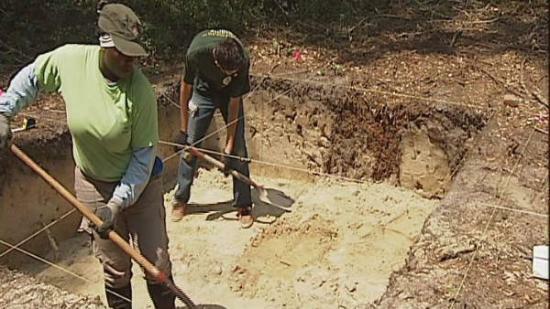 Peace College Archaeological Field School is conducting a project aimed at mapping Civil War barracks and learning more about life for the troops who battled their way through Southeastern North Carolina in the 1860s. Brunswick Town was a pre-colonial port community that was razed by British troops in 1776. Fort Anderson was built on top of the site during the Civil War. the Brunswick Town/Fort Anderson site is complex. Students only need to dig a few feet into the ground to find artifacts from three very different time periods: The Civil War era, the Colonial era, and prehistoric times. Because the whole area was bombed heavily during the Civil War, artifacts are mixed up, with prehistoric items often being uncovered side by side with Civil War bullets and shell fragments.